All photos copyrighted by CARE. Yesterday, in the midst of blinding rain in Atlanta, a friend sent me this video about the Girl Effect. The first time I saw it was on Oprah, and I’ve seen it several times, but I watched it again. And it made me cry, again. That’s why CARE’s program (www.care.org/campaigns/2009/powerwithin.asp) to improve the lives of girls in 36 developing countries is so powerful. Reaching out to marginalized girls at risk of being trafficked, abused, or forced into early marriages, CARE works with governments and communities to keep girls in school longer, teach parents and communities the importance of educating girls, and impart leadership skills to girls so that all the talent and resources of the population can be utilized. 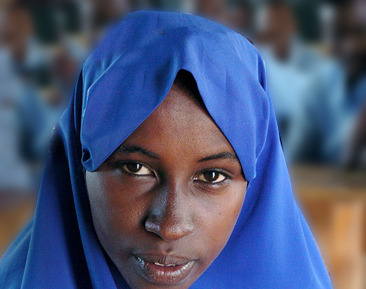 CARE’s goal is to empower 10 million girls to access quality primary education and gain leadership skills by 2015. That’s not a typo, folks, the goal is 10 million girls. Pick up your pencils and let’s begin! For a mere $49, you can send a girl to one of these schools for a whole year. And just one year of education beyond the average will boost a girl’s eventual wages by 10-12%. Educated girls have fewer, stronger, healthier babies and create a more prosperous community. If we want to help the poor, we need to help girls succeed. And CARE does that as well as any organization I know. 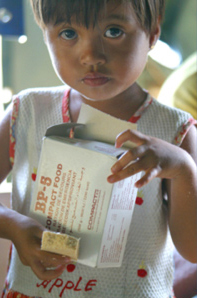 (Did you know the acronym stands for Cooperative for Assistance and Relief Everywhere? I’ve been sending money to CARE for thirty years and never knew that — quaint internet factoid, but I really like the “Everywhere” bit. So bold!) . My $100 will send two girls to school for a year. Smart investment. CARE is a Four Star Charity Navigator organization. I have a friend whose daughter was in the Peace Corp for several years doing a similar project called “Empowering Girls”. I think my community has some similar needs. Maybe I could combine “The Senior Moments” and “Help a Girl” and . . .
Haiti – Hungry children roaming the streets. Perhaps someone reading this blog could help me to cut through the red tape. There are children roaming the streets hungry and sick whose relatives in the States are eager to bring them here and take care of them. For this to happen, the child’s name has to be on a State Department’s list. Some Haitian friends living in the states have asked me to find the way to help and bring these children here. Does anyone know organizations working in Haiti or people at State Department who could make this happen?